I’ve found the easiest way to do a preliminary patent search is to do a Google Patent search. You can put in a simple search term and then work from its database to get a good idea if your product idea has already been patented. This search won’t necessarily reveal every other patent but it is a good start. Another good aspect of the Google patent search site is that it lists the patents pending that are published by the patent office but haven’t yet been issued. To get the most out of a Google search you can’t just put in the name of your idea and then do a Google search. That will leave out far too many patents where the patent application uses different terms than yours. You need to look instead at all the citations listed in the patents to find out more. I entered in Google search box the term Safe Electric Plug. 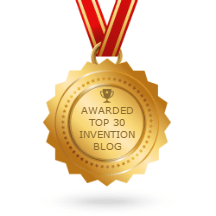 Then I connected to the patents that were listed till I found one that was most like the product idea. The patent that seemed closest was Safety socket and plug arrangement US Pat. 5702259 – Filed Aug 12, 1996. I clicked on that patent and though the idea wasn’t the same it had the same general purpose so I could use it as a starting point. While you are looking at a patent, stroll down just a little ways and you will see on the left side of the screen sections called “Citations” and “Referenced By”. “Citations” are patents that the patent you looking at references as prior art. “Referenced By” are patents that cite the patent you are looking at as prior art. In this particular example, the patent we are looking at was issued in 1996, but the “Referenced By” section list patents that were listed all the way to 2008. So you are able by using this technique to see many if not most of the recent patent application that are similar to your product idea. Patent applications need to list possible competing patents and then explain how the new patent application does not infringe on the other existing patents. Typically patent applications reference many patents that are in many cases only marginally similar to the product idea detailed in the application. Which means if you can just get close to you idea you can usually zero in on patents that are closest to your idea. In the case of our plug that a child couldn’t easily remove from the socket, the closest idea listed was Patent number: 6988903, Filing date: Mar 31, 2005, Issue date: Jan 24, 2006, Inventor: Jen-Jen Cheng, Assignees: Edac Power Electronics Co., Ltd. In this particular case, when checking the “Citations” and “Referenced By” patents in the patent listed above, I found a patent very close to the product idea was Patent number: 6893275, Filing date: Feb 26, 2003, Issue date: May 17, 2005, Inventors: Kenneth Ng, Edmund Ng, Assignee: Koncept Technologies Inc.
Just because you see a patent similar to yours doesn’t mean you can’t apply and obtain a patent; that is a decision that can be better made by a patent attorney. But the search does give you information that better allows you to move forward. If their has been heavy patent activity related to your idea, the odds are you will only be able to obtain a patent with narrow, specific claims that might not prevent competition. If you do see a lot of activity you still may be willing to proceed with your idea, but you should realize that it is difficult to license an idea with a narrow claim and you will have the risk of someone changing your concept slightly and then quickly competing with you. So you would want to limit your investment as the probability of success would be lower. In the previous paragraph I mentioned the concept of narrow claims. When discussing patents you will often hear the term narrow and broad patent claims. Most of the industry feels narrow claims have limited value while broad claims can be very valuable. But in reality many narrow patents are broad enough to offer protection and even a very narrow patent has value if only limited number of design choices can implement the inventor’s idea. A broad claim is abstract and vague and covers a lot ground. The gist of Samuel Morse’s original patent claim for example was for the “use of electromagnetism for making or printing intelligible characters at any distance.” That is a very broad claim with tremendous value. (The patent office didn’t accept this claim and Morse was forced to narrow it down). connecting members fastened at each end to said frame to form a caddy device. Remember searching Google is just a preliminary search, and it just gives you an idea of the prior art patent activity related to your product. It lets you know if you have a truly unique idea that no one else has ever thought of. If there is activity that is not identical with your idea, take the patents you have to a patent agent or attorney (Don Debelak is a registered patent agent that offers a variety of patent services. For more info, visit our patent page.) and get a professional opinion from a patent agent or attorney on whether or not you can get a patent that will minimize direct competition. If you ever want to hear a reader’s feedback 🙂 , I rate this post for four from five. Detailed info, but I just have to go to that damn msn to find the missed parts. Thank you, anyway! I’ll share it on Twitter. Folks you can get the required information from patent buddy site also. this is really good site for search attorney,inventors,firms ,assignee,patent . One another feature i also find that make your connection ! YES you are right this also give the feature to register there and connect to you co-worker and other folks . Really good to make your profile live here.